If you are looking for simple, functional and strong, the FATDAPTER is it. Where can I find a Fat-Bike Fork Adapter on the other side of the World? I knew instantly I was buying a FATDAPTER® when I compared it to the alternate option. Is this thing really machined from a solid block of aluminum and made in the USA??? Yes, we designed it to be bulletproof. The FATDAPTER® fat bike fork mount adapter and stainless axle are machined in Wisconsin, USA. The cam lever is is sourced from a US company who has them custom made in Taiwan. Nearly 2 years later the Patent is pending and the Trademark is registered. 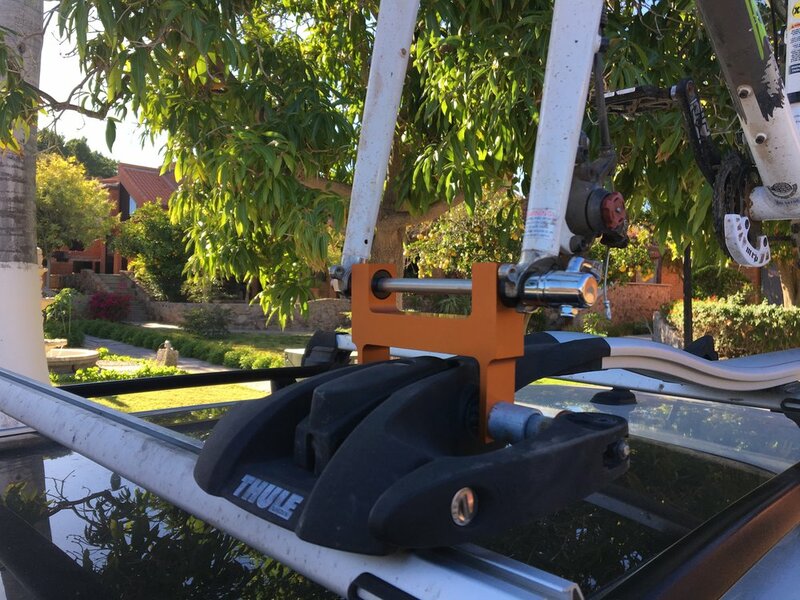 Dude, there must be 1000's of people every year who buy a new rack for a fatbike when they could just use a FATDAPTER® and their old rack or roof tray!